🦃 Hey - we're keeping things short this week in respect of Thanksgiving. If you celebrate, we hope you have a good one. Back to full service next week. GQLi: Writing GraphQL Queries in Native Ruby — The folks at Contentful are working on a library (GQLi) that allows you to write GraphQL queries in native Ruby. Very promising. 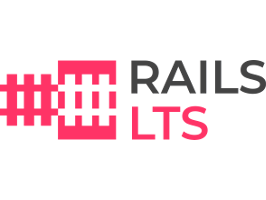 Long Term Support for Ruby on Rails 4.2, 3.2 and 2.3 — Rails LTS provides extended support for old versions of Ruby on Rails. Drop-in gem replacements are available for Rails 4.2, Rails 3.2 and Rails 2.3. You can even run your old Rails app with modern Ruby versions. 'Clean Code' Concepts Adapted for Ruby — Clean Code is a long-standing, popular book on the art of ‘software craftsmanship’ and this guide shows off its suggested approaches for making Ruby code more readable and reusable. When I Use Controller/Request Specs in Rails and When I Don't — Based on recommendations from the RSpec team and his own experience, Jason describes the only two scenarios where request specs are reasonable. The Benefits of Materialized Views (and How to Use Them with Rails) — A ‘materialized view’ is essentially a ‘live’ SQL query whose results are accessible as a database table. It’s supported by several database systems though Postgres is the most likely candidate with Rails. Fibers Are The Right Solution — After looking at various approaches to concurrency, the claim here is Fibers offer the safest and least intrusive bang for your buck. What Is MJIT in Ruby 2.6 and How Does It Work? — An accessible look into using the JIT options in Ruby 2.6, what they do, and some benchmarks. Five Security Issues in Rails Apps From Real Life — Common (yet often unaddressed) security issues that Igor is also kind enough to show you how to fix. Iguvium: A Gem for Extracting Tables from PDFs — Renders a PDF into an image, looks for table-like structures & tries to place characters into detected cells. typerb: Strong Type Checking for Ruby — Uses the RubyVM::AST additions to 2.6. Zammad: A Web-Based Open Source Helpdesk/Customer Support System — Implemented as a Rails 5 app.